The evolving mise en pratique for the definition of the kelvin (MeP-K) [1, 2] will, in its forthcoming edition, encourage the realization and dissemination of the thermodynamic temperature either directly (primary thermometry) or indirectly (relative primary thermometry) via fixed points with assigned reference thermodynamic temperatures. In the last years, the Centro Español de Metrología (CEM), in collaboration with the Instituto de Óptica of Consejo Superior de Investigaciones Científicas (IO-CSIC), has developed several setups for absolute calibration of standard radiation thermometers using the radiance method to allow CEM the direct dissemination of the thermodynamic temperature and the assignment of the thermodynamic temperatures to several fixed points. Different calibration facilities based on a monochromator and/or a laser and an integrating sphere have been developed to calibrate CEM’s standard radiation thermometers (KE-LP2 and KE-LP4) and filter radiometer (FIRA2). This system is based on the one described in  placed in IO-CSIC. Different light sources have been tried and tested for measuring absolute spectral radiance responsivity: a Xe-Hg 500 W lamp, a supercontinuum laser NKT SuperK-EXR20 and a diode laser emitting at 6473 nm with a typical maximum power of 120 mW. Their advantages and disadvantages have been studied such as sensitivity to interferences generated by the laser inside the filter, flux stability generated by the radiant sources and so forth. 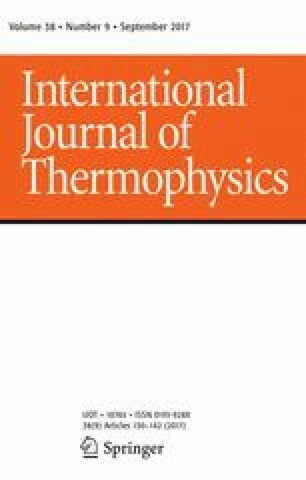 This paper describes the setups used, the uncertainty budgets and the results obtained for the absolute temperatures of Cu, Co-C, Pt-C and Re-C fixed points, measured with the three thermometers with central wavelengths around 650 nm.